Monday - The Greatest Songwriting Teams! Don't miss our tribute to the songwriting teams who gave us some of the biggest hits of all time. Some were behind closed doors churning out the hits.. others broke away and charted themselves.. the most famous wrote hits for their own bands and others - like Jagger Richards were "encouraged" to form a songwriting combination. 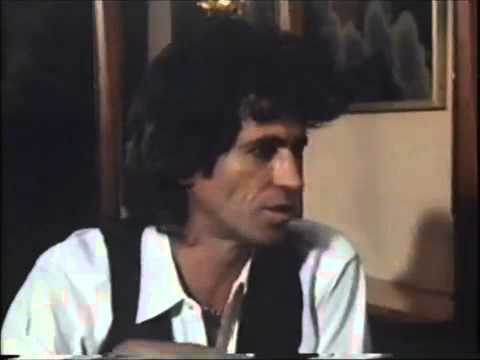 Catch Keith Richards story here and then join me for our countdown of the greatest songwriting teams. Tuesday - A PM's promise, and the hits of this week in 1987! Yes, we're heading back to late June 1987 when Prime Minister Bob Hawke made this promise to launch his bid to be re-elected. We'll also hear one of the election campaign ads that you'll probably remember - and head to the cinemas to check out the latest Mel Brooks comedy. Meanwhile, at number 1, it's the singer who was setting amazing chart records both here and in the US, becoming the first female to top the American charts with her first 4 singles. That and more as we visit this week in 1987. Wednesday - From Colour TV - To the hits of the radio during late June 1978! By mid year 1978, Australia was setting the pace for conversion to colour television. Just 3 months after Aunty Jack was invaded by the "colour monster", 65% of Aussie homes had bought new TV sets. More on that amongst the hits of this week in 1978 along with the Warren Beaty movie that was at the cinemas and at number 1 - the hit that takes it's lyrics directly from the bible..
Thursday - It's the Muppets - and the hits of this week in 1981! Yes, the second in the Muppet movie series premiered during this week in 1981.. and that's where we're headed on the 20 20 Retro Countdown. Along the way too, we'll remember the latest British sitcom to hit Australian televisions - and there was a special milestone for Holden... and at number 1 - it's the song written after the songwriter watched the Bette Davis movie "Now Voyager". All that and more as we visit late June 1981 on the 20 20 Retro Countdown! Friday - Three's Company on the 20 20 Retro Countdown! We feature the greatest trios on the 20 20 Retro Countdown... from Cream to to A-ha, ZZ Top, The Police to Banarama & The Bee Gees... All those great trios in one countdown.. and along the way - some of the famous TV and Movie trios... including "Three's Company"